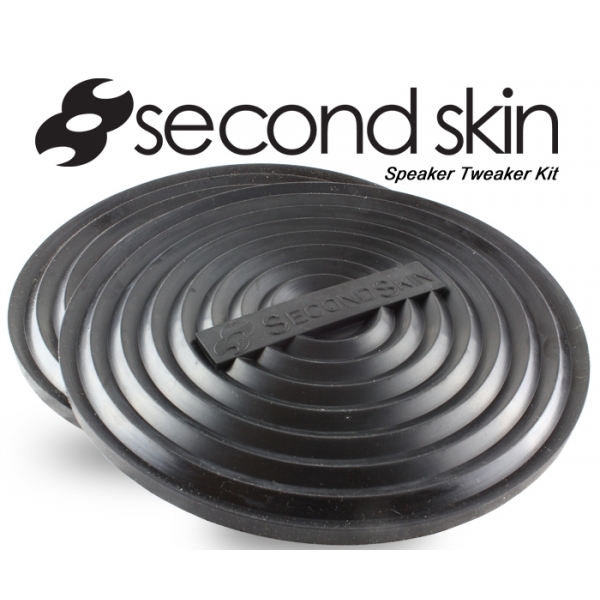 Simply adhere one Speaker Tweaker pad 3-8 inches behind your door speakers, with the ridges facing the speakers, to absorb and redirect the rear wave away from the back of the speaker. Redirecting the rear wave will help reduce distortion and will improve the mid register of your music. This is the easiest and most drastic improvement you can make to improve the sound quality from your door speakers. As a speaker reproduces an acoustic signal, it sends sound waves in two directions; forward and backwards. The sound waves sent forward we hear as music. The sound waves that are sent backwards go inside the door, vibrate the metal and plastic, and reflect off of the inside skin of the door back towards the speaker. This rear wave reflection interferes with the natural movement of the door speaker which causes distortion and acoustical cancellation. These Speaker Pads get applied inside the door behind the speaker to absorb and redirect the rear wave away from the speaker, allowing the speaker to function just as the recording studio intended. Not a whole bunch of thermal insulation with this product. To kill the heat that comes through your car doors, try a layer of Damplifier Pro followed by Heat Wave Pro. or our MLV noise barrier, Luxury Liner Pro.